Food is much more than what keeps us alive, it is the way we connect to different cultures, different people, but also different lifestyles. For many it is not only part of the holiday experience, it is the experience itself. 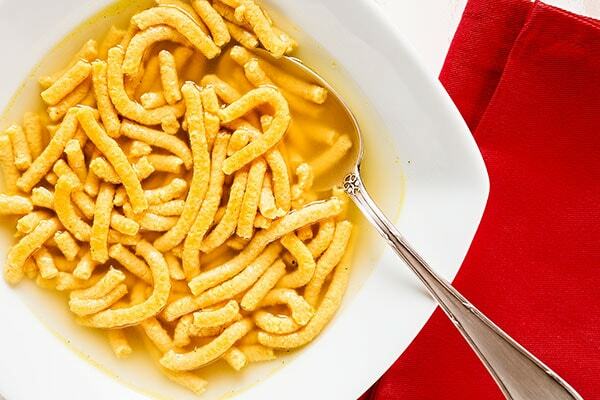 Among all the dishes of the Adriatic coast, the most typical one is perhaps, passatelli in broth. This delicious soup descended from a medicinal recipe: la “tardura”, which was an egg-based dish with cheese and breadcrumbs made for women in their post-partum period. It then later became a festive dish and today, it is present in most Michelin star restaurants and in the most creative and original recipes. Our mouths are already watering! Also called “True Love Knot” for the particular shape that it is given, similar, in fact, to a knot, and exclusively made by hand. Its peculiarity is the thin layer of pasta dough filled with meat which makes them lighter and different from any other stuffed pasta. They are excellent with melted butter and sage, but also in broth. You choose! 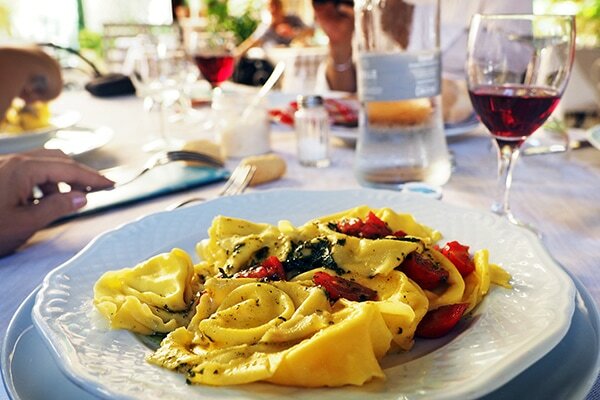 You cannot say you have been to Liguria until you have tasted the delicious pesto sauce, or the tasty sauce you make by crushing basil leaves with olive oil, garlic, cheese and pine nuts. 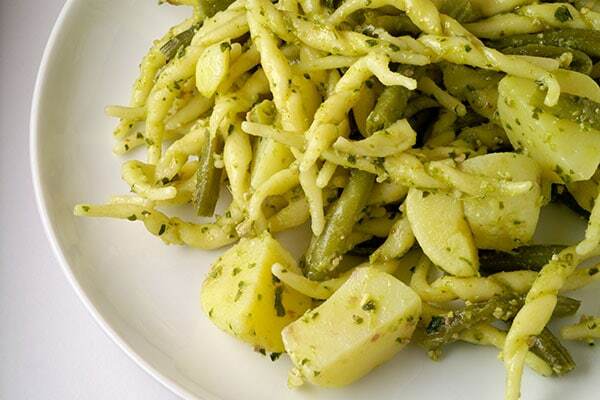 Served with spaghetti and potatoes, trofie, trenette and many other types of pasta for tasty pasta starters and ideal for a quick snack after your cycling tour. Are you ready for a pasta party? 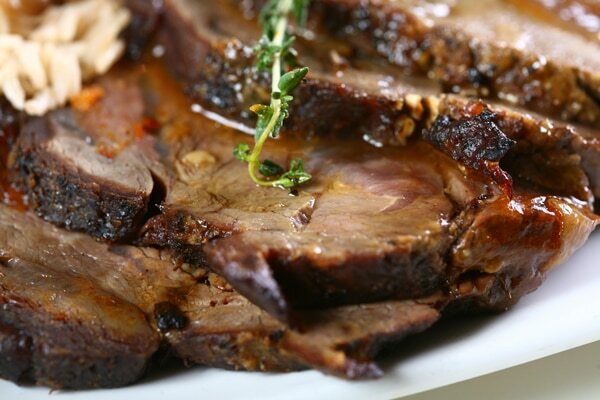 Slow-cooking stew in wine with the same name “Brasato al Barolo” as the classic and oldest recipe of Piedmontese cuisine. The secret to a good braise is choosing the right cut of meat; the best piece is by far chuck, rich in thin streaks of fat (called cappello del prete) and connective tissue. 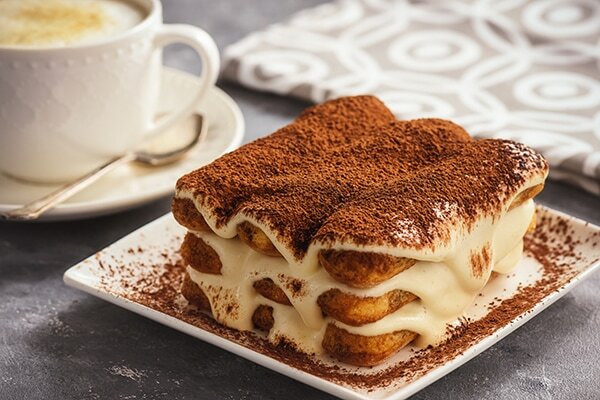 Italian dessert par excellence and not only just during the holidays The original recipe requires a few ingredients: mascarpone, sugar, savoiardi biscuits, coffee, cocoa powder and a little marsala in the mascarpone cream and eggs to balance out the flavour. It is similar to other traditional desserts such as the charlotte, zuppa Inglese, dolce di Torino and the Bavarese Lombarda. Be wary of imitations. Fish soup seems to have been created by the fishermen depending on what was left from the catch of the day at sea. 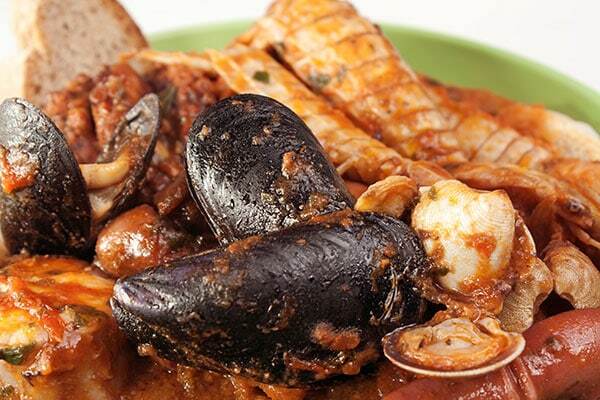 The “cacciucco” was made with “substandard” fish and its type and quantity was chosen according to the season and abundance of fish. For its cooking method you need to consider a few factors, for example, the octopus needs to be cooked separately with the cuttlefish while the mussels are only added at the end as there is nothing worse than overcooked and shrunk mussels.